Dr. Mark C. Houston is Associate Clinical Professor of Medicine at Vanderbilt University School of Medicine and Director of the Hypertension Institute at Saint Thomas Hospital in Nashville, TN. He has written an important review article on the cardiovascular consequences of mercury exposure in humans. The article discusses how mercury toxicity in humans is related to hypertension, generalized atherosclerosis, coronary heart disease (CHD), myocardial infarction (MI), cardiac arrhythmias, heart rate variability, sudden death, cerebrovascular accidents (CVA), carotid artery disease, renal dysfunction, and total mortality. Mercury has a high affinity for sulfhydryl groups, inactivating numerous enzymatic reactions, amino acids, and sulfur-containing antioxidants (N-acetyl-L-cysteine, alpha-lipoic acid, L-glutathione), with subsequent decreased oxidant defense and increased oxidative stress. Mercury binds to metallothionein and substitute for zinc, copper, and other trace metals, reducing the effectiveness of metalloenzymes. Mercury induces mitochondrial dysfunction with reduction in adenosine triphosphate, depletion of glutathione, and increased lipid peroxidation. Increased oxidative stress and reduced oxidative defense are common. Selenium and fish containing omega-3 fatty acids antagonize mercury toxicity. The overall vascular effects of mercury include increased oxidative stress and inflammation, reduced oxidative defense, thrombosis, vascular smooth muscle dysfunction, endothelial dysfunction, dyslipidemia, and immune and mitochondrial dysfunction. The clinical consequences of mercury toxicity include hypertension, coronary heart disease, myocardial infarction, cardiac arrhythmias, reduced heart rate variability, increased carotid intima-media thickness and carotid artery obstruction, cerebrovascular accident, generalized atherosclerosis, and renal dysfunction, insufficiency, and proteinuria. Pathological, biochemical, and functional medicine correlations are significant and logical. Mercury diminishes the protective effect of fish and omega-3 fatty acids. Mercury inactivates catecholaminei-0-methyl transferase, which increases serum and urinary epinephrine, norepinephrine, and dopamine. This effect will increase blood pressure and may be a clinical clue to mercury-induced heavy metal toxicity. Mercury toxicity should be evaluated in any patient with hypertension, coronary heart disease, cerebral vascular disease, cerebrovascular accident, or other vascular disease. Specific testing for acute and chronic toxicity and total body burden using hair, toenail, urine, and serum should be performed. What has happened to us? Despite the most advanced medical technology in the world, we are sicker than ever by nearly every measure. Cases of diabetes are exploding, especially amongst our younger population. About half of us are taking at least one prescription drug and major medical operations have become routine. Heart disease, cancer and stroke are the three leading causes of death in the USA, even though billions are spent each year to “battle” these very conditions. Millions suffer from a host of other degenerative diseases. Forks Over Knives (2010) examines the profound claim that most, if not all, of the socalled “diseases of affluence” that afflict us can be controlled, or even reversed, by rejecting our present menu of animal-based and processed foods. 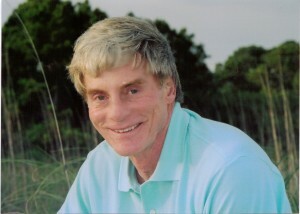 The major storyline in the film traces the personal journeys of Dr. T. Colin Campbell, a nutritional scientist from Cornell University, and Dr. Caldwell Esselstyn, a former top surgeon at the world renowned Cleveland Clinic. Inspired by remarkable discoveries in their young careers, these men conducted several groundbreaking studies, one of which took place in China and is considered among the most comprehensive health-related investigations ever undertaken. Their separate research led them to the same startling conclusion: degenerative diseases like heart disease, type 2 diabetes, and even several forms of cancer, could almost always be prevented—and in many cases reversed—by adopting a whole foods, plant-based diet. Despite the profound implications of their findings, their work has remained relatively unknown to the public. In addition, cameras follow “reality patients” who have chronic conditions from heart disease to diabetes. Doctors teach these patients how to adopt a whole foods plantbased diet as the primary approach to treat their ailments—while the challenges and triumphs of their journeys are revealed. Apples and pears may keep strokes away. That’s the conclusion of a Dutch study published in Stroke: Journal of the American Heart Association in which researchers found that eating a lot of fruits and vegetables with white flesh may protect against stroke. While previous studies have linked high consumption of fruits and vegetables with lower stroke risk, the researchers’ prospective work is the first to examine associations of fruits and vegetable color groups with stroke. The color of the edible portion of fruits and vegetables reflects the presence of beneficial phytochemicals such as carotenoids and flavonoids. Researchers examined the link between fruits and vegetable color group consumption with 10-year stroke incidence in a population-based study of 20,069 adults, with an average age of 41. The participants were free of cardiovascular diseases at the start of the study and completed a 178-item food frequency questionnaire for the previous year. During 10 years of follow-up, 233 strokes were documented. Green, orange/yellow and red/purple fruits and vegetables weren’t related to stroke. However, the risk of stroke incidence was 52 percent lower for people with a high intake of white fruits and vegetables compared to people with a low intake. Each 25 gram per day increase in white fruits and vegetable consumption was associated with a 9 percent lower risk of stroke. 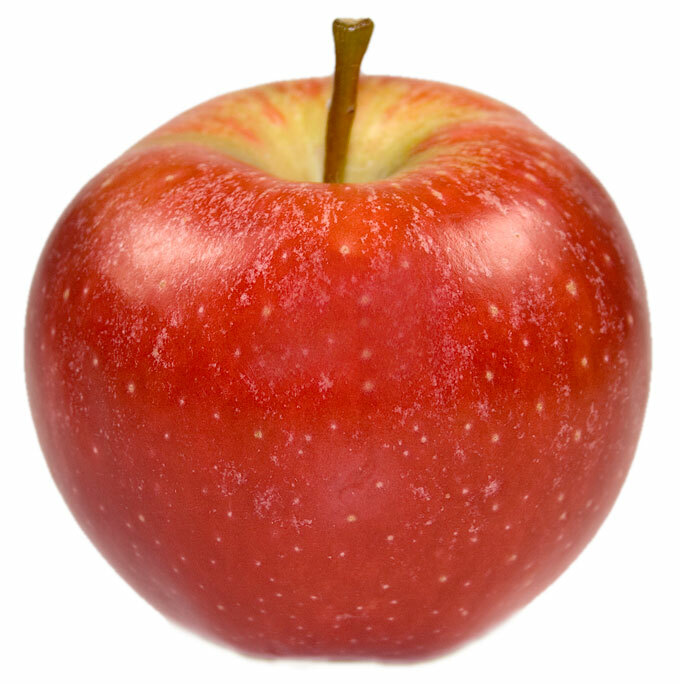 An average apple is 120 grams. “To prevent stroke, it may be useful to consume considerable amounts of white fruits and vegetables,” said Linda M. Oude Griep, M.Sc., lead author of the study and a postdoctoral fellow in human nutrition at Wageningen Uninversity in the Netherlands. “For example, eating one apple a day is an easy way to increase white fruits and vegetable intake. Apples and pears are high in dietary fiber and a flavonoid called quercetin. In the study, other foods in the white category were bananas, cauliflower, chicory and cucumber. Potatoes were classified as a starch. 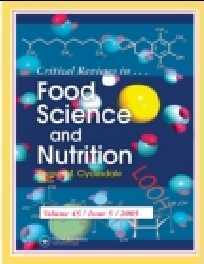 Previous research on the preventive health benefits of fruits and vegetables focused on the food’s unique nutritional value and characteristics, such as the edible part of the plant, color, botanical family and its ability to provide antioxidants. U.S. federal dietary guidelines include using color to assign nutritional value. The U.S. Preventive Health Services Taskforce recommends selecting each day vegetables from five subgroups: dark green, red/orange, legume, starchy and other vegetables. Before the results are adopted into everyday practice, the findings should be confirmed through additional research, Oude Griep said. “It may be too early for physicians to advise patients to change their dietary habits based on these initial findings,” she said. An accompanying editorial notes that the finding should be interpreted with caution because food frequency questionnaires may not be reliable. In addition, “the observed reduction in stroke risk might further be due to a generally healthier lifestyle of individuals consuming a diet rich in fruits and vegetables,” writes Heike Wersching, M.D., M.Sc., of Institute of Epidemiology and Social Medicine at the University of Münster, in Germany. Griep LM, Verschuren WM, Kromhout D, Ocké MC, Geleijnse JM. Raw and processed fruit and vegetable consumption and 10-year stroke incidence in a population-based cohort study in the Netherlands. Eur J Clin Nutr 2011; 65 (7): 791-9. Chocolate consumption and cardiometabolic disorders: systematic review and meta-analysis. High levels of chocolate consumption might be associated with a one third reduction in the risk of developing heart disease, finds a study published on bmj.com. The findings confirm results of existing studies that generally agree on a potential beneficial link between chocolate consumption and heart health. However, the authors stress that further studies are now needed to test whether chocolate actually causes this reduction or if it can be explained by some other unmeasured (confounding) factor. The World Health Organisation predicts that by 2030, nearly 23.6 million people will die from heart disease. However, lifestyle and diet are key factors in preventing heart disease, says the paper. A number of recent studies have shown that eating chocolate has a positive influence on human health due to its antioxidant and anti-inflammatory properties. This includes reducing blood pressure and improving insulin sensitivity (a stage in the development of diabetes). 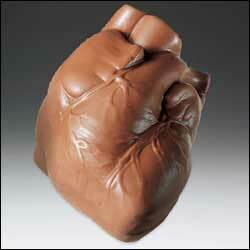 However, the evidence about how eating chocolate affects your heart still remains unclear. So, Dr Oscar Franco and colleagues from the University of Cambridge carried out a large scale review of the existing evidence to evaluate the effects of eating chocolate on cardiovascular events like heart attack and stroke. They analysed the results of seven studies, involving over 100,000 participants with and without existing heart disease. For each study, they compared the group with the highest chocolate consumption against the group with the lowest consumption. Differences in study design and quality were also taken into account to minimise bias. Five studies reported a beneficial link between higher levels of chocolate consumption and the risk of cardiovascular events and they found that the “highest levels of chocolate consumption were associated with a 37% reduction in cardiovascular disease and a 29% reduction in stroke compared with lowest levels.” No significant reduction was found in relation to heart failure. The studies did not differentiate between dark or milk chocolate and included consumption of chocolate bars, drinks, biscuits and desserts. The authors say the findings need to be interpreted with caution, in particular because commercially available chocolate is very calorific (around 500 calories for every 100 grams) and eating too much of it could in itself lead to weight gain, risk of diabetes and heart disease. However, they conclude that, given the health benefits of eating chocolate, initiatives to reduce the current fat and sugar content in most chocolate products should be explored. Buitrago-Lopez A, Sanderson J, Johnson L, Warnakula S, Wood A, Di Angelantonio E, Franco OH. Chocolate consumption and cardiometabolic disorders: systematic review and meta-analysis. BMJ 2011; 343: d4488. Researchers at Karolinska Institutet in Stockholm have found that dietary potassium intake is inversely associated with risk of stroke, in particular ischemic stroke. A higher intake of potassium (1000 mg) compared to a lower intake was associated with as much as 11 percent reduction in the ischemic stroke risk, 5 percent reduction in intracerebral hemorrhage, but 8 percent increase in the risk of subarachnoid hemorrhage. The study was based on data from prospective studies of 268,276 participants with 8695 cases of stroke reported in Pubmed database from Januar 1966 through March 2011. Dietary Potassium Intake and Risk of Stroke: A Dose-Response Meta-Analysis of Prospective Studies. Potassium intake has been inconsistently associated with risk of stroke. Our aim was to conduct a meta-analysis of prospective studies to assess the relation between potassium intake and stroke risk. Pertinent studies were identified by a search of PubMed from January 1966 through March 2011 and by reviewing the reference lists of retrieved articles. We included prospective studies that reported relative risks with 95% CIs of stroke for ≥3 categories of potassium intake or for potassium intake analyzed as a continuous variable. Study-specific results were pooled using a random-effects model. Ten independent prospective studies, with a total of 8695 stroke cases and 268 276 participants, were included in the meta-analysis. We observed a statistically significant inverse association between potassium intake and risk of stroke. For every 1000-mg/day increase in potassium intake, the risk of stroke decreased by 11% (pooled relative risk, 0.89; 95% CI, 0.83 to 0.97). In the 5 studies that reported results for stroke subtypes, the pooled relative risks were 0.89 (95% CI, 0.81 to 0.97) for ischemic stroke, 0.95 (95% CI, 0.83 to 1.09) for intracerebral hemorrhage, and 1.08 (95% CI, 0.92 to 1.27) for subarachnoid hemorrhage. Dietary potassium intake is inversely associated with risk of stroke, in particular ischemic stroke. COLUMBUS, Ohio – A natural form of vitamin E called alpha-tocotrienol can trigger production of a protein in the brain that clears toxins from nerve cells, preventing those cells from dying after a stroke, new research shows. 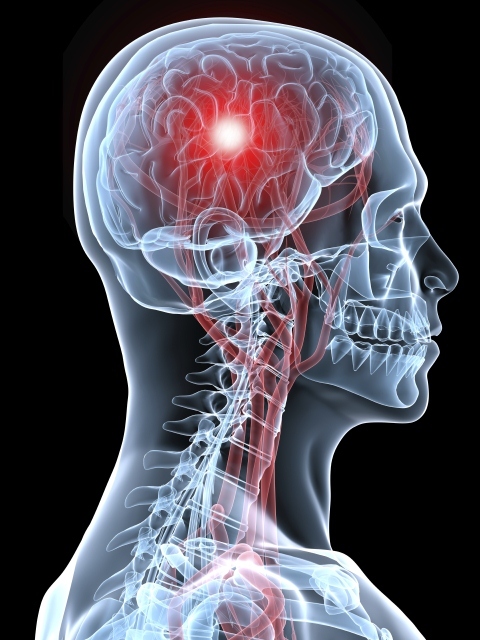 This process is one of three mechanisms identified so far that this form of vitamin E uses to protect brain cells after a stroke, meaning that this natural substance might be more potent than drugs targeting single mechanisms for preventing stroke damage, according to Ohio State University scientists who have studied the nutrient for more than a decade. These researchers previously reported that the tocotrienol form of vitamin E protects the brain after a stroke by blocking an enzyme from releasing toxic fatty acids and inhibiting activity of a gene that can lead to neuron death. Vitamin E occurs naturally in eight different forms, and all of this work is focused on the tocotrienol form, also known as TCT. 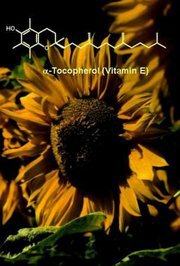 The commonly known form of vitamin E belongs to a variety called tocopherols. TCT is not abundant in the American diet but is available as a nutritional supplement. It is a common component of a typical Southeast Asian diet. In this new study, the researchers first clarified the role of a protein called MRP1, or multidrug resistance-associated protein 1. This protein clears away a compound that can cause toxicity and cell death when it builds up in neurons as a result of the trauma of blocked blood flow associated with a stroke. They then determined that TCT taken orally influences production of this protein by elevating the activity of genes that make MRP1. This appears to occur at the microRNA level; a microRNA is a small segment of RNA that influences a gene’s protein-building function. The research appears online and is scheduled for later print publication in the journal Stroke. Over the past decade, Sen has led numerous studies on how the TCT form of vitamin E protects the brain against stroke damage in animal and cell models, and intends to eventually pursue tests of its potential to both prevent and treat strokes in humans. Approximately 795,000 Americans suffer new or recurrent strokes each year, and stroke is the third-leading cause of death in the United States, according to the American Stroke Association. To determine the role of MRP1 in protecting brain cells, the researchers compared the effects of an induced stroke in two groups of mice: normal mice and animals that were genetically modified to be deficient in the MRP1 protein. Both groups of mice showed comparably decreased blood flow in the area of the stroke, but the mice deficient in MRP1 had a larger volume of tissue death than did normal mice. The mice with the protein deficiency also had a 1.6-fold higher level of a toxin that is cleared by MRP1. This toxin is called GSSG, or glutathione disulfide, and these researchers have previously shown that a failure to clear this toxin appears to trigger neuron death in the brain after stroke. The presence of GSSG is linked to an excessive amount of glutamate that is released in the brain after a stroke. Glutamate is a neurotransmitter that, in tiny amounts, has important roles in learning and memory. Too much of it triggers a sequence of reactions that lead to the death of brain cells – the most damaging effects of a stroke. This experiment showed for the first time that the loss of MRP1 function impairs the clearance of GSSG, and that MRP1 cells were recruited to the site of the stroke in normal mice, indicating this protein has a protective role in the brain after a stroke. The researchers searched databases containing genomic data for a microRNA that appeared to have potential to influence production of MRP1. MicroRNAs bind to messenger RNA, which contains the actual set of instructions for building proteins. When that connection is made, however, the microRNA inhibits the building of protein from messenger RNA. So an inverse relationship exists between a microRNA and a protein it controls. The researchers saw this very relationship in the cell study in which they manipulated the candidate microRNA levels and observed the effects of changing those levels on the presence of the MRP1 protein. Finally, the researchers compared mice that were treated with TCT supplements or corn oil as a control for 13 weeks before a stroke was induced. The amount of damaged brain tissue was smaller in the mice that received TCT supplementation than in the mice receiving corn oil. In addition, TCT supplementation was associated with a lower level of the candidate microRNA in the damaged brain tissue, as well as an increase in the abundance of MRP1 cells at the stroke site. Park HA, Kubicki N, Gnyawali S, Chan YC, Roy S, Khanna S, Sen CK. Natural Vitamin E α-Tocotrienol Protects Against Ischemic Stroke by Induction of Multidrug Resistance-Associated Protein 1. Stroke. 2011 Jun 30. [Epub ahead of print]. A new study suggests that consuming olive oil may help prevent a stroke in older people. The research is published in the June 15, 2011, online issue of Neurology, the medical journal of the American Academy of Neurology. For the study, researchers looked at the medical records of 7,625 people ages 65 and older from three cities in France: Bordeaux, Dijon and Montpellier. Participants had no history of stroke. Olive oil consumption was categorized as “no use,” “moderate use” such as using olive oil in cooking or as dressing or with bread, and “intensive use,” which included using olive oil for both cooking and as dressing or with bread. Samieri said the study participants mainly used extra virgin olive oil, as that is 98 percent of what is available in France. After a little over five years, there were 148 strokes. After considering diet, physical activity, body mass index and other risk factors for stroke, the study found that those who regularly used olive oil for both cooking and as dressing had a 41 percent lower risk of stroke compared to those who never used olive oil in their diet (1.5 percent in six years compared to 2.6 percent). Olive oil has been associated with potentially protective effects against many cardiovascular risk factors, such as diabetes, high blood pressure, high cholesterol and obesity. 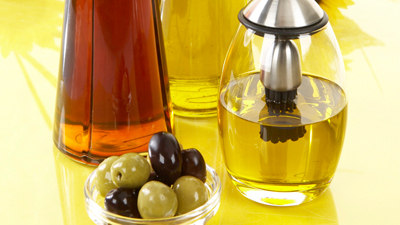 In an accompanying editorial, Nikolaos Scarmeas, MD, of Columbia University and a member of the American Academy of Neurology noted that it is not clear which particular elements of olive oil could be protective, while the effects of olive oil could even be indirect by making other healthy foods tastier. He also cautioned that only future clinical trials can increase confidence in the findings and potentially lead to stroke prevention recommendations.